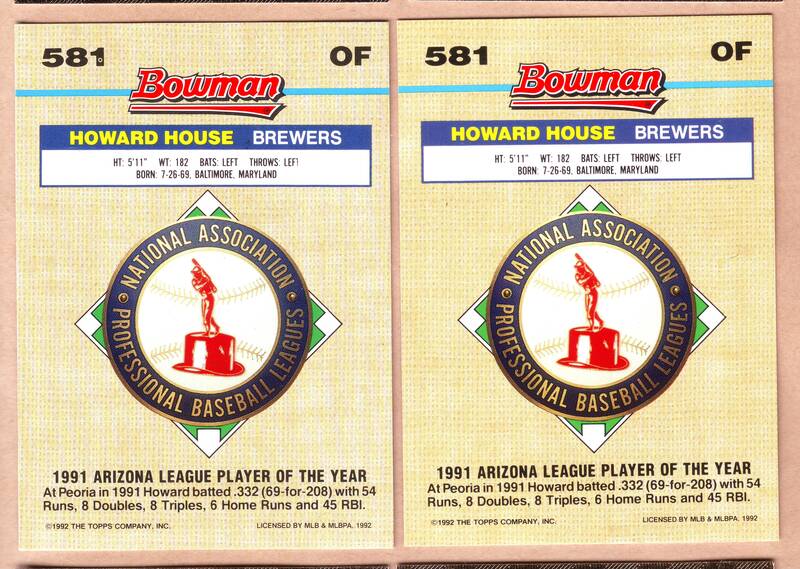 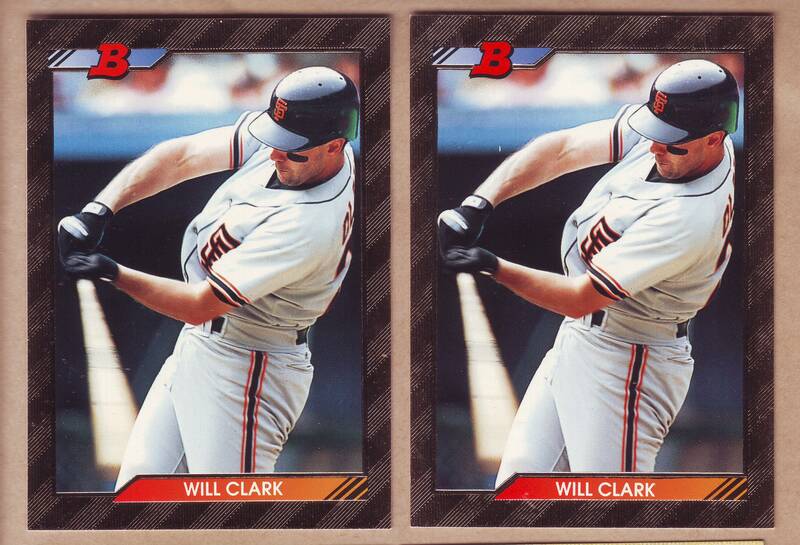 Here’s a look at a handful of the variations that exist in the 1992 Bowman Foil subset. 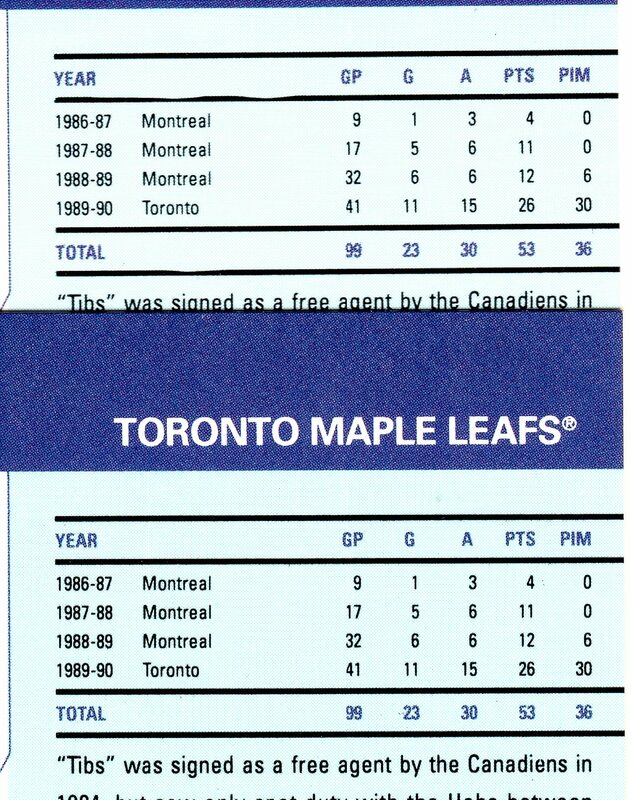 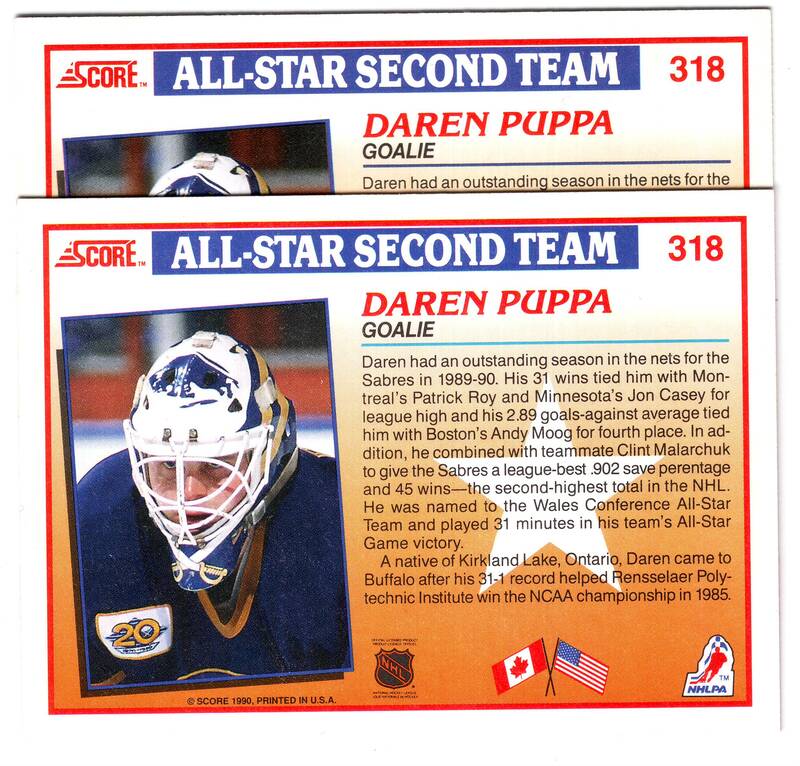 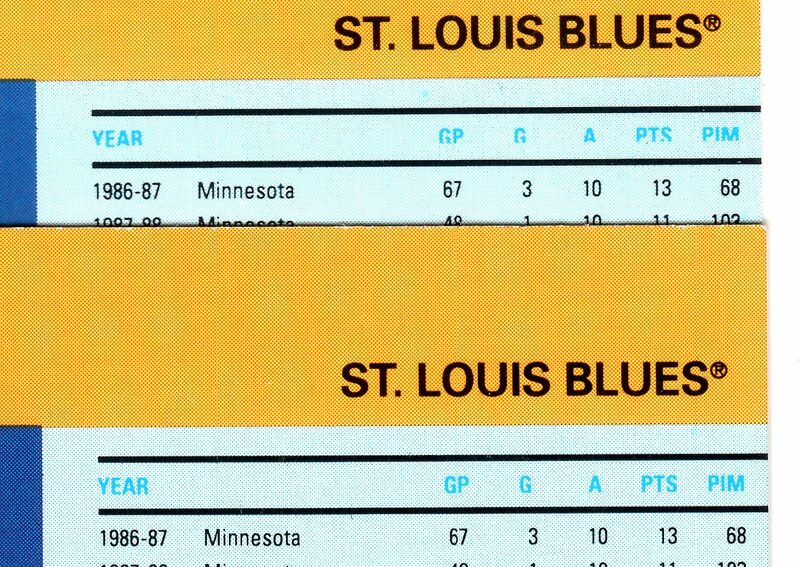 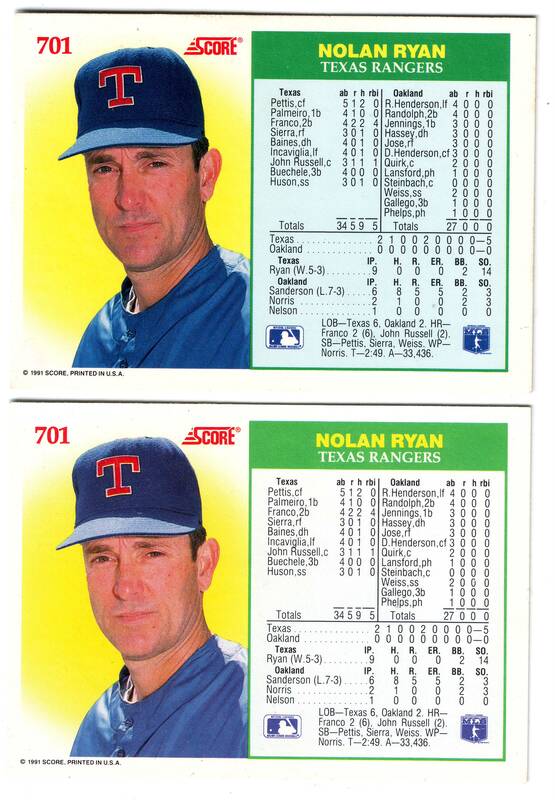 Each of the non “short-printed*” foil cards can be found with two different photo croppings, some more obvious than others, but all are affected by this variety. 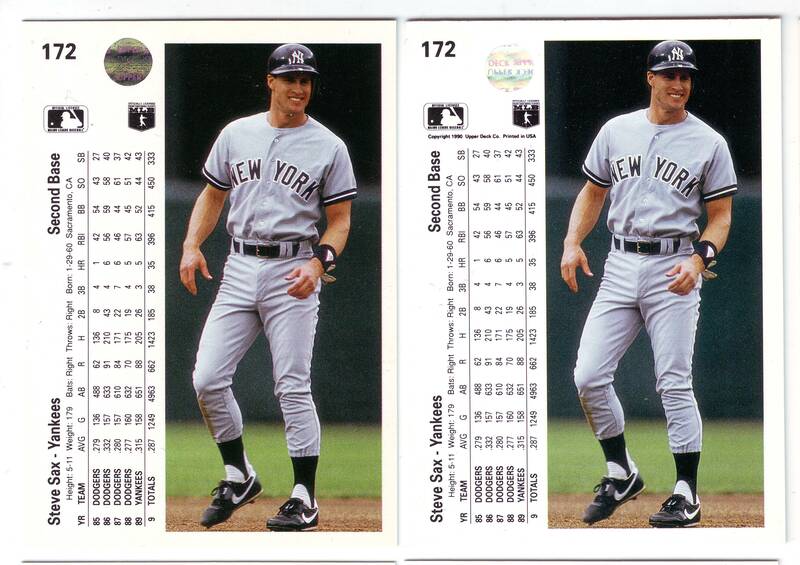 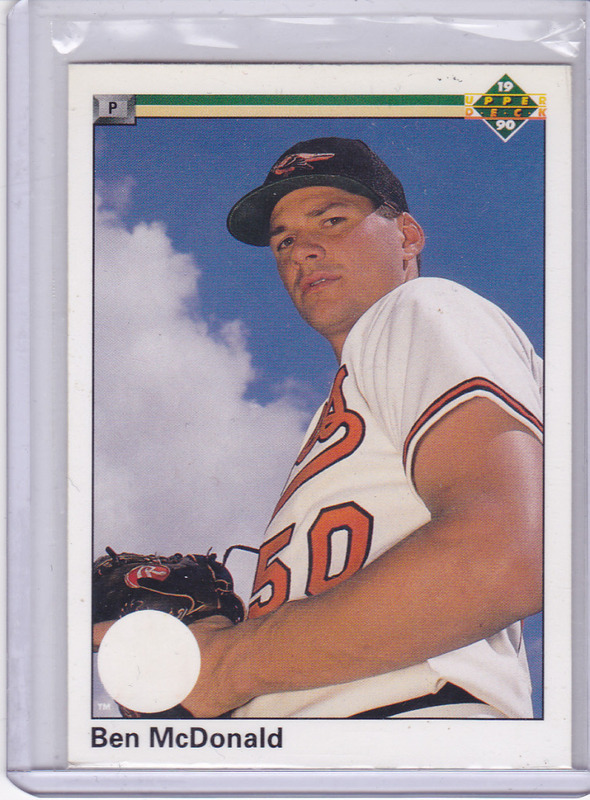 *1992 Bowman Foil sheets included 2 sets of most players in the subset on each sheet, however some foil subset subjects only appear once per sheet, creating the “short-print” designation that was used in the catalogs for several years.